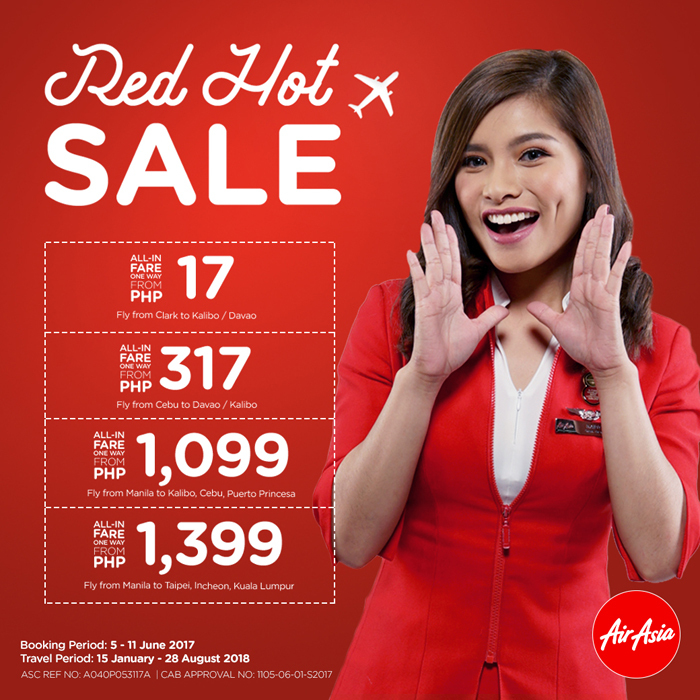 Fly for as low as P17 through Air Asia's RED Hot Sale! Book from 5 June 2017 to 11 June 2017 for travel between 15 January 2018 to 28 August 2018 to enjoy fares from as low as P17.00* to destinations such as Clark to Kalibo/Boracay and Davao; Cebu to Kalibo/Boracay and Davao and Manila to Kalibo/Boracay, Cebu and Puerto Princesa/Palawan. 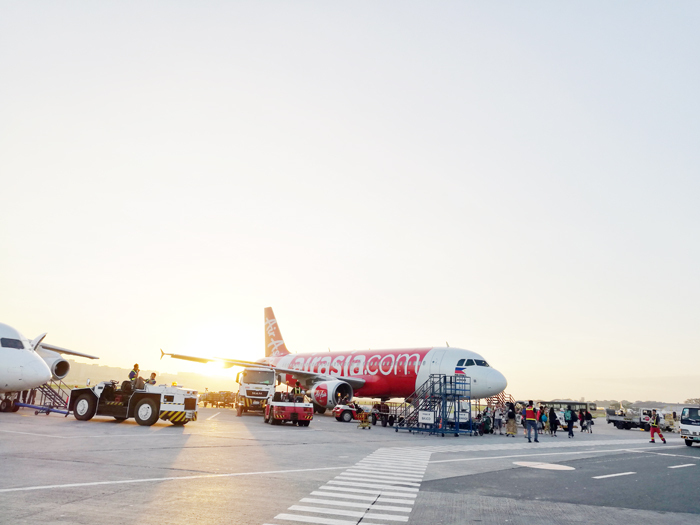 Up to 3 million promotional seats are up for grabs now at airasia.com!